A very simple, yet restaurant quality meal that is sure to impress and can be whipped up in a flash! 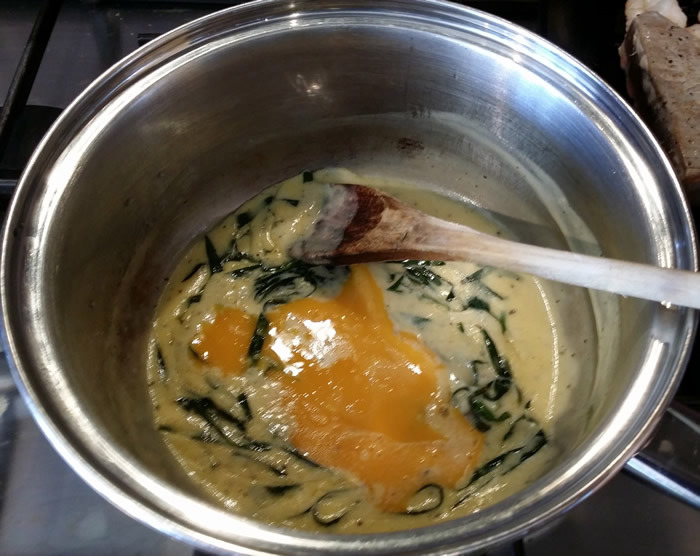 The sauce could be made with dried tarragon, but better to use fresh if you can. 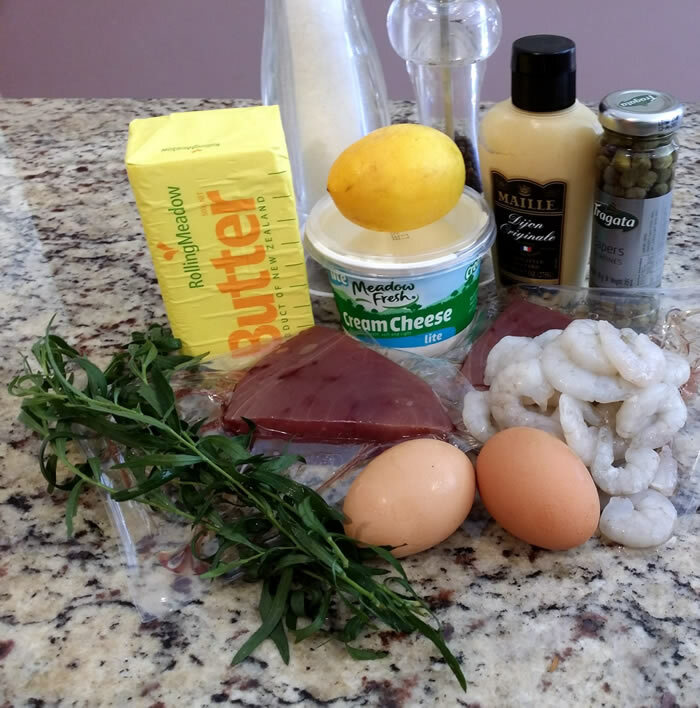 I’ve used individually wrapped frozen tuna steaks which I buy from a local fresh and frozen seafood distributor – they are well priced compared to buying fresh steaks from the supermarket, and thawed slowly and cooked correctly taste wonderful (they should be seared quickly on each side and still pink in the middle). I like to substitute some of the butter in the hollandaise sauce with lite cream cheese which reduces the fat content and tastes just as good. 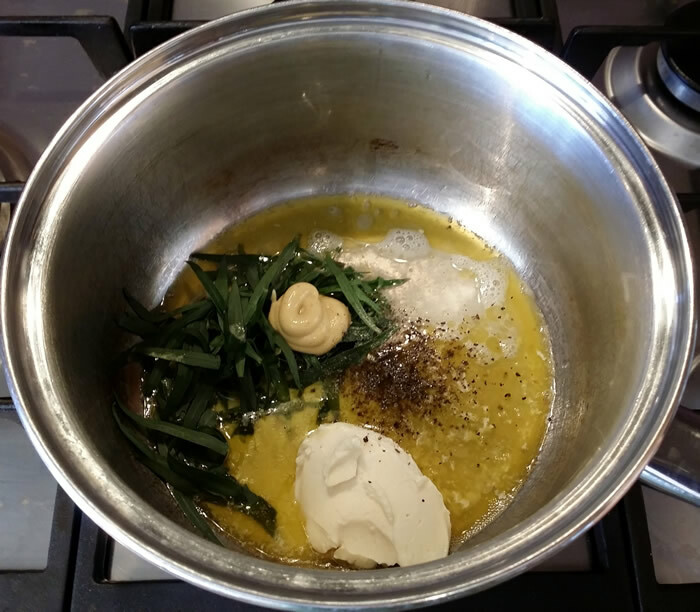 Gently melt butter, add lemon juice, tarragon, mustard, cream cheese, salt and pepper and bring to boiling point while stirring. Set aside to cool while preparing the tuna and prawns. Grease a large heavy bottom fry pan with olive oil spray and heat to a high temperature, then add the seasoned tuna steaks and prawns. 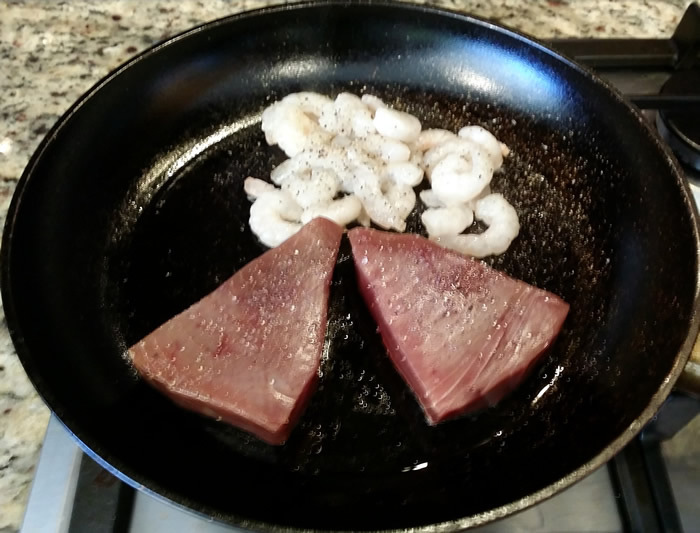 Sear the tuna steaks for a minute or two on each side, tossing the prawns at the same time until they are ‘just’ pink. Remove from heat. 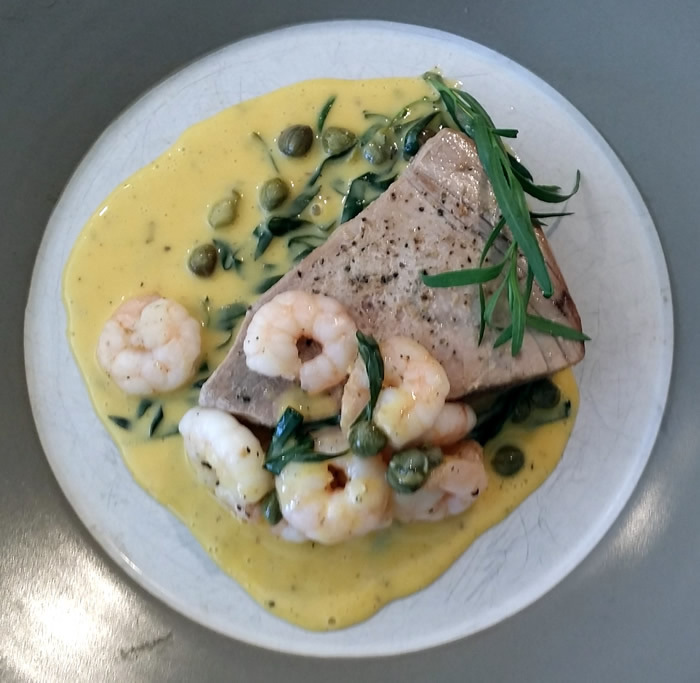 Pour the sauce evenly on two pre-heated plates and arrange the tuna and prawns on top. Serve immediately garnished with a sprig of tarragon.